Stem cells provide an opportunity to analyse the effects of xenobiotic on cell viability, differentiation and cell functions. Evaluation of the possible cytotoxic and DNA damaging effects on bone marrow CD34+ stem cells is important for their ability to differentiate into blood cells, and also for bone marrow diseases therapy. Boron nitride nanotubes and curcumin are potential nanoformulation agents that can be used together in the treatment of cancer or bone marrow diseases. Therefore, it is important to evaluate their possible effects on different cell lines. In this study, it was aimed to evaluate the cytotoxic and DNA damaging effects of boron nitride nanotubes which are commonly used in pyroelectric, piezoelectric and optical applications, but there is not enough information about its biocompatibility. Also, it was intended to research the effects of curcumin being used frequently in treatment processes for antioxidant properties. 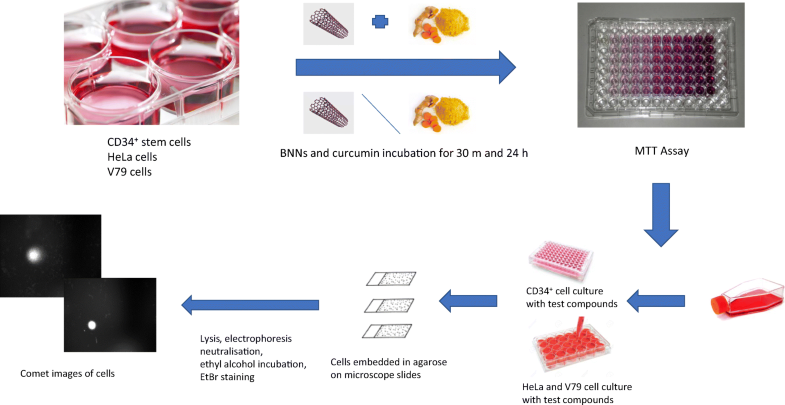 The possible cytotoxic and DNA damaging effects of boron nitride nanotubes and curcumin on CD34+ cells, HeLa and V79 cells were evaluated by MTT assay and Comet assay, respectively. Boron nitride nanotubes and curcumin had cytotoxic effects and cause DNA damage on CD34+ cells, HeLa and V79 cells at several concentrations, probably because of increased ROS level. However, there were not concentration - dependent effect and there were controversial toxicity results of the studied cell lines. 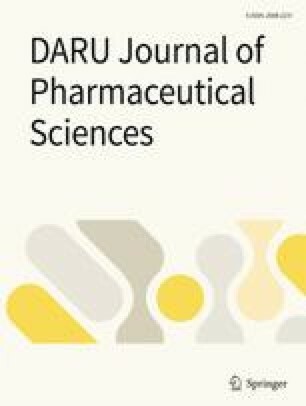 Its mechanism needs to be enlightened by further analysis for potential targeted drug development. This study is supported by Hacettepe University Scientific Research Projects Coordination Unit under Grant number THD-2015-8174. Azqueta A, Dusinska M. The use of the comet assay for the evaluation of the genotoxicity of nanomaterials. Front Genet. 2015;6. https://doi.org/10.3389/fgene.2015.00239. Singh B, Kaur G, Singh P, Singh K, Kumar B, Vij A, et al. Nanostructured boron nitride with high water Dispersibility for boron neutron capture therapy. Sci Rep. 2016;6. https://doi.org/10.1038/srep35535.